With the highly anticipated follow-up to Avengers: Infinity War, Avengers: Endgame, hitting theaters on April 26, 2019, the film’s directors have issued a letter to fans. Joe and Anthony Russo’s letter was posted to several Instagram accounts this afternoon including the Disney Studios, Marvel Studios, and Avengers Instagram accounts. The letter is addressed to the “greatest fans in the world,” and, as the 11-year Avengers storyline comes to a close, asks that fans who see the film not spoil it for other fans by sharing the story or ending. Issuing a formal letter and plea to not spoil the film is a rare step taken by the Russo brothers, Disney Studios, and Marvel Studios. 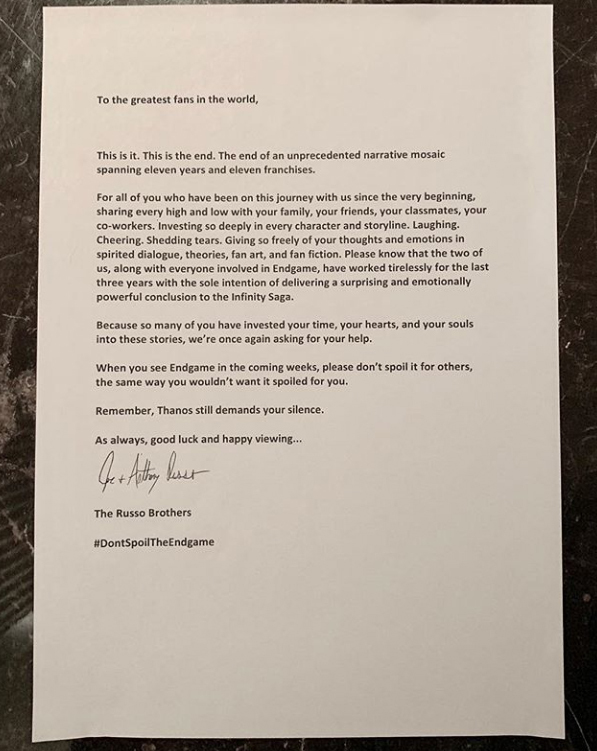 A social media hashtag was included with the letter imploring fans: #DontSpoilTheEndgame. Are you a Marvel and Avengers fan? Are you ready for Avengers: Endgame? Share your thoughts with us on this letter from the Russo brothers in the comments below — and #DontSpoilTheEndgame ! 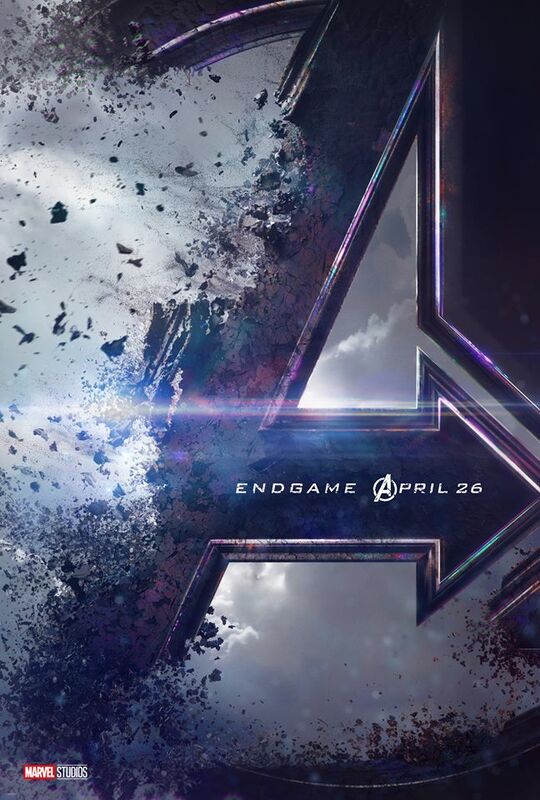 Learn more about Avengers: Endgame here!